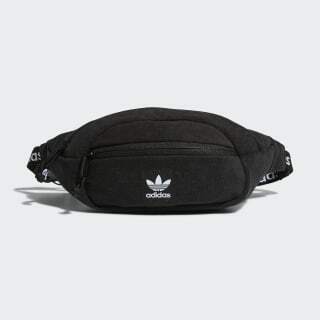 A waist bag made of soft French terry. Soft and sleek, this bag offers hands-free storage for your essentials. Linear Trefoil logos on the webbing waist strap add some sporty flair. It closes with a clip-lock buckle. Dimensions: 11.5" x 3.25" x 4.25"